DHD has offered development opportunities to hundreds of female hockey players in the greater Montreal and Eastern Ontario area. We thrilled to announce the expansion of our development program to include AAA Spring Hockey Teams as an option for young female players. I strongly believe that spring hockey is an important part of the development process and I am happy to be able to offer my athletes this great opportunity. At my hockey schools, the thing that I am most proud with is the quality of staff and instruction that is offered. Each staff member has played high level hockey and succeeded both on and off the ice and serve as great role model for the young players attending the camps. I have now been able to transfer this wonderful mentorship opportunity to Spring Hockey teams. I will personally be heavily involved with all the training and instruction that takes place with each team and will have many of my staff either running their own teams or joining me on the bench during tournaments. 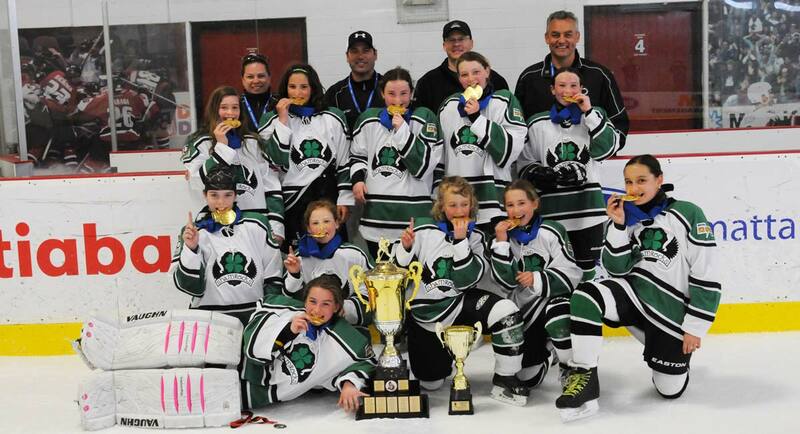 The DHD AAA Shamrocks will have a U10 and a U12 Girls Team for the 2015 Spring Season. The U10 will compete in Pierrefonds, Trois Rivieres and Kingston from May to June. The U12 Team will compete in Ottawa, Kingston and Boston from May until July 2015. The U10 team will be hosting tryouts following the winter season in March and April. If you have an elite female hockey player born in 2005 or 2004 and would like more information please CLICK HERE. The U12 Team Roster was made on an invite basis and complete for teh 2015 Spring Season. If you would like to learn more about our AAA Spring Hockey Options CLICK HERE. Female hockey has continued to drastically increase in numbers and competitiveness over the last ten years. DHD believes that spring hockey provides a option for players to continue to develop during the off season mainly in game situations. For many top female players, the winter season finds them as part of a boys team, however at times, these girls miss out on certain team aspects such as leadership development, confidence in speaking in the room and during practices, and overall team bonding off the ice. Many girls who play with the boys during the winter for competitive and development reasons often miss out on some of these important components of being part of a team. Spring hockey with DHD will allow these girls to play in a competitive environment with other female players. Most importantly, AAA Spring hockey with DHD will allow these young female players to develop into a more complete player while playing in a fun and competitive environment.